"Brainless" Toto Wolff exclaimed, reacting to yet another chapter in the infamous rivalry between Nico Rosberg and Lewis Hamilton. The Mercedes chief was clearly incensed by the last lap tangle at the end of a thrilling Austrian Grand Prix which cost the team a certain one-two and six points in the constructors' championship. And rightly so! After all, the fallout could have been much worse had stewards decided to make an example of Rosberg for his robust attempts at defending. 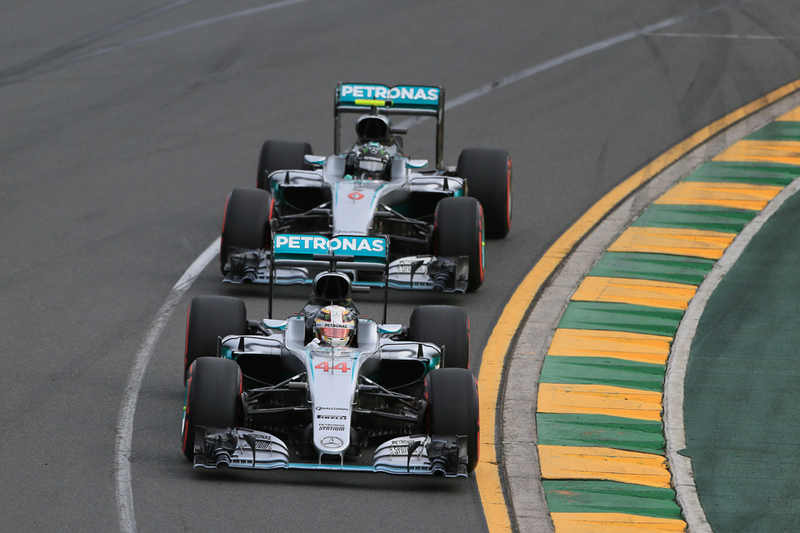 How do you solve a problem like Lewis and Nico? 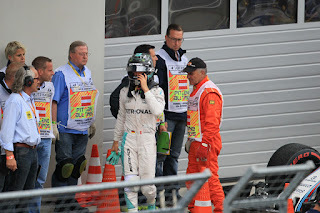 Wolff warned of severe consequences for the pair, including the possible introduction of team orders. Although similar threats have been made in the past, this was the first time it was delivered with venom, by a man running fast out of options to maintain the 'open racing' policy, employed over the last three years. While it could be business as usual by the time the cars roll out for practice at Silverstone, it appears that the team has lost patience and could be forced into uncharted territory in a bid to stamp out this behaviour once and for all - with the Austrian calling together senior management for crunch talks. 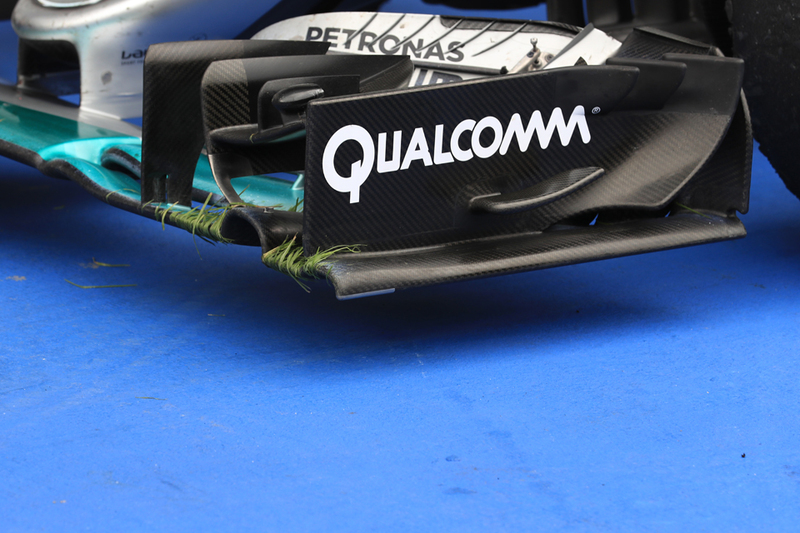 Although still only a possibility, the prospect of Mercedes curbing the on-track battle should not be taken lightly and would have severe reverberations if enacted. Certainly such a move would go against its very DNA and signal the final roll of the dice, not to mention open up Pandora's Box in trying to police it. With the title race so finely balanced could the team really enforce such moves without significant consequences this year and beyond? Throughout its racing history, the Mercedes team has always been uncompromising in its pursuit of victory: spending big, investing in resources and ensuring that staff buy into a collective vision. However, unlike Ferrari or entrants of similar ilk, Mercedes has always striven to provide its drivers with an equal platform to fight for glory. Reflecting on Stirling Moss's time at Mercedes in 1955, the author Robert Edwards stated that the manufacturer built its fleet of W196s as identical as possible and "took a step back when the flag fell", only advising its drivers of any developments which occurred during the race. Although there were often times where Moss or his stablemates would sit in the slipstream of the great Juan Manuel Fangio, creating the impression of an eight-wheeled Silver Arrow at the front of the field, the outcome of a race was often neutralised by the camaraderie of the day, where the drivers themselves respected their competitors, their employer's demands and the risks of the day. The times may have changed but Merc's philosophy remained, both through its partnership with similar-minded McLaren and once it became a fully-fledged constructor again. In fact senior management at the team has been unrelenting in their desire to let their drivers race and unwavering in their efforts to manage tensions. Even after Rosberg's adventure into the escape road at Monaco in 2014 or later where Hamilton refused to yield position to help his team-mate's strategy in Hungary this policy never changed. The same applies when things have been physical too (see Belgium 2014, America last year or Australia and Canada this season). That's not to say attempts haven't been made to ease the situation. Prior to the start of this season Mercedes made a number of internal changes in an attempt to introduce harmony, something which Wolff remarked made the team "more comfortable in working with each other." So what is so different now? Clearly the embarrassment of Spain still weighs heavily on the minds of management, and a repeat is deemed far too risky, for its reputation and championship chances. But there has also been a sizeable shift between its drivers, which harks back to last season when Hamilton sealed his third drivers' crown. Then, Rosberg was a beaten man. Now, rejuvenated, he has not only taken the fight to the Brit but has held the championship lead since the off - in what could be a watershed season for the German should his quest for that elusive crown be foiled yet again by his arch nemesis. As well as his driving, Rosberg's off-track demeanour has also changed, with him more and more willing to speak out, regardless of the potential damage. 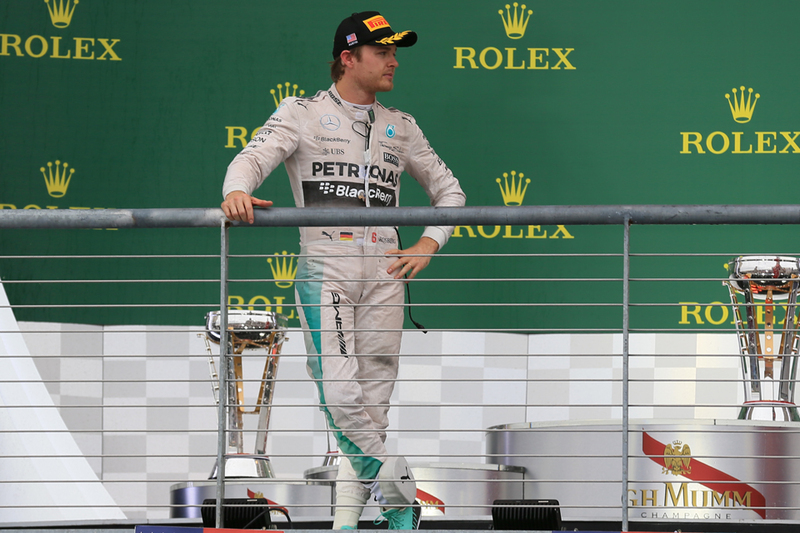 In the aftermath of Hungary 2014, Rosberg refused to comment publicly about what had unfolded, instead electing to discuss concerns in private. Fast forward, and the German is far more ready to complain about his ills. At the same time, Hamilton, who has always been more loose-lipped, has spoken out against the use of team orders and been quick to rile his team-mate on and off the track. 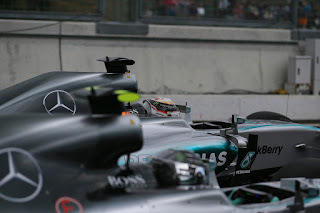 Nevertheless, there are suggestions that this is not all one-sided and that the Brit is also feeling the pressure, choosing to repeatedly play victim with the deficit in power units to his team-mate, not to mention the latest allegations of Niki Lauda after crashing out of Baku qualifying, though they have since been retracted. 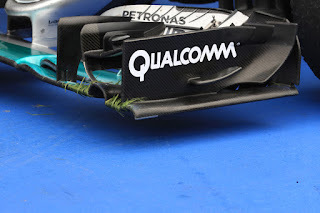 With damage already done and the potential for more, it would be understandable for Mercedes to look at another approach to ensure no further damage is done and that a third-successive constructors' title is safe. Ultimately, the team has fewer points over its rivals now than it did this time last year and does not possess the same lap time advantage as before. But things are not as black and white. 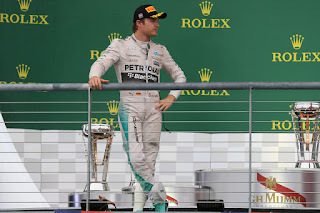 Despite Lauda's accusations, Hamilton has, publicly indicated that the last six months has seen an improvement in personal relations with Rosberg, indicating that both men would be open to finding an amicable solution. Despite the clash, victory in Austria signalled the team's fortieth since the start of the turbo era in 2014 - underlining that despite the efforts of others, its car still retains an advantage over the field in qualifying and race. Bluntly speaking, it seems inconceivable that its rivals have the overall package or consistency to mount a serious challenge for both crowns. Though Red Bull has a superb aerodynamic package Renault is still off the out-and-out pace; meanwhile Ferrari continues to flatter to deceive with a mix of misfortune and apparent naivety curtailing its efforts. Therefore, it would appear that any changes would be taken in haste. Imposing team orders would take the sting out of what could be the most exciting season for some time and fly in the face of the past glories - not to mention, change perceptions of a team still revered by many despite its dominance. Although his team are poised to benefit from any further misfortune, Christian Horner is right to suggest that Mercedes has a duty to allow its drivers to race. Fans will easily recall previous situations where team orders influenced the outcome of a race. While the will of the team must be seen as paramount, nobody wants to see races decided after the final pitstop, let alone the first corner or, worse, qualifying! Like his predecessor Alfred Neubauer, Toto Wolff encapsulates everything Mercedes-Benz stands for, in racing and conduct. Alongside his close counterparts, he has always had his employer's best interests at heart, but now faces a decision like never before. Things are not at breaking point at Mercedes. Yes, they are not perfect, but there is no need or desire for walls to be built between garages - the scramble to repair Rosberg's car ahead of qualifying was testament to that. For the main this remains a healthy rivalry. There is no need to prescribe a tonic without time for natural healing. While the events of Austria will have bearing on the remainder of the season, it will not be the sole catalyst for deciding the title fight; how Mercedes goes racing or whether the Hamilton/Rosberg partnership survives.